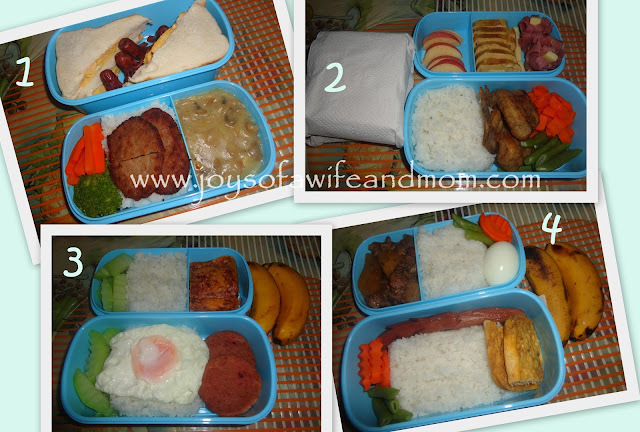 Honestly, I'm not even sure if you can call these as (o)bento. I'm still in the process of learning but so far, I am enjoying every bit of it. There you go! I'm still in the process of searching what other baons I could prepare that I could also turn into an (o)bento. Also, I actually do not have any (o)bento accessories like food picks and baran, so I'm improvising with tooth picks and cheese sticks. Hihi! Currently, I only have the pastry puff maker (Which was actually in our kitchen for quite a while now. I only found good use of it now that I'm starting to like (o)bento) and some small veggie cutters. I have yet to learn so much. But, truly, making (o)bento is a lot of fun! 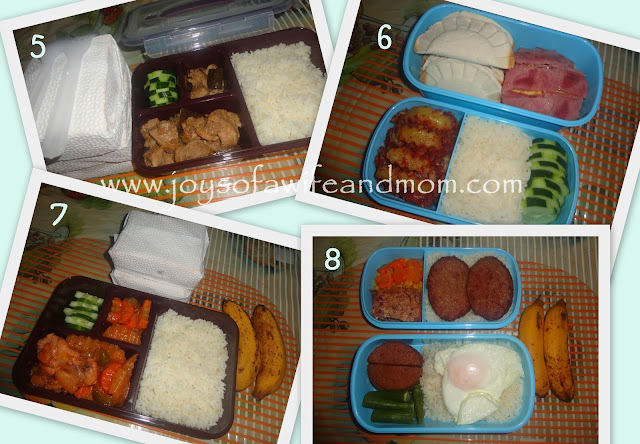 those are yummy baon's.. my son would love to have a baon like this.. I salute you sis :) Sarap naman ng mga baon si Hubby. Kami din nagbabaon pero since we skipped rice anything goes na lang hehe. Anyway, I think I should really try to make our healthy baons na. Kakainspire kasi ito sis. Nakita complete and meals, with veggie, meat and fruits. Nice. With that baon, lunch would always be a great moment. Sarap! Wow, your family is so lucky to have these baons; delicious, healthy and full of love!